I have an easy to make matzo-ball soup recipe I think you’ll like. In a large pot add chicken stock and all the veggies including parsley. Bring to a simmer and cook until veggies are tender. While stock is cooking combine crushed matzo crackers, 1/4 cup stock that was reserved, 4 egg yolks, 1/4 cup of oil and pinch of salt & pepper. In another bowl beat egg whites until frothy but not stiff. 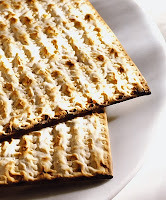 Fold the egg whites into the matzo mixture, then it’s important to refrigerate for about 15 min. Then shape matzo mixture into approx. 2inch balls and gently add balls to simmering soup. Cover and cook about 20min. Thank you Gina, this is one of my all-time favorite soups!! !